Wouldn't it be great if, as you go through life, you could slow down the aging process? This is our goal and passion at Well for Life. Using Biofeedback Stress Relief technology, we want to assist you to maintain your youthful vitality, and age gracefully. Wouldn't it also be great to have a joyful, zest for life, right up until 100 years of age? Don't let stress affect your overall health. Let us show you new ways to relieve stress. We have the latest EPFX SCIO Biofeedback equipment. It uses the advanced principles of energetic medicine and multi-modality software, with over 200 programs. 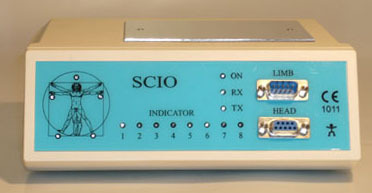 SCIO stands for Scientific Consciousness Interface Operating System. The SCIO interfaces with the vibrational 'you', your body electric, and tunes you up energetically. It is both painless and non-invasive. Using the latest principles of Quantum Physics, the SCIO can amalgamate several different disciplines such as nutrition, homeopathy, acupuncture, cranial sacral and homotoxicology, to name a few. The SCIO is an early warning system for signs of stress. It can identify these areas and balance them energetically. It is ancient healing using today's quantum technology. If you have some serious health issues, the Quantum SCIO can reduce your stress which can enhance your body's innate self-healing abilities. We do not treat, diagnose or cure. On an energetic, subtle level, we create an environment within the body whereby 'you' use your own natural forces and defences to heal yourself. This may complement any other medical or alternative treatment you may be having. We are not here to live lives of stress and dis-ease. We are here to create wonderful lives for ourselves, of our choosing. If we can manage and reduce our stress levels, our bodies work better and we feel happier. When we feel happy we attract better things, circumstances and relationships to us. Life was meant to be a joyful experience. Let us help you find your balance and have a long, rewarding life.